I WANT TO CHANGE CITY, BUT INTERFERENCES ARE PREVENTING. Dear Masters, gratitude once more for this opportunity, I have no words to describe how happy I am to have this chance to speak here with you, I love you very much, and thank you to the brothers who do this beautiful work. Today I come with a feeling I would not want to bring here, but I know I can count on your words of wisdom. I'm really frustrated and hopeless, as you know I've been waiting since the beginning of this year for the city change, which will consequently bring improvements to my life, I want a fresh start for me, and then I made that decision. Where I am living I am not happy, I am living in financial difficulties, I am totally caught up in various aspects of my life, I have the feeling that nothing is going on. I know that we should always be grateful, honor and love all that we are and have, but I am not able to put into practice, so disappointed that I am. As you know, there is a legal process for the release of this change, and it has been denied. And it just took the floor off me. I asked my beloved mentor for the help I needed, based on the tool she gave me, I kept trying to find answers because it did not work, maybe you have to wait for something better to happen. Or what happened were negative interferences? I was even willing to leave this incarnation, so discouraged, I walk with such a revolt that I can no longer see beauty in small things, believe in the new times, see the world with the love I always had inside of me, I do not want these feelings, nor thoughts, I want to spread my light again, to understand, accept and trust divine perfection with all my heart, but I cannot, I wish the answers and guidance, thank you once more. Daughter, realize in your question what you are saying. Who would you like to surrender, to accept the condition, but you wonder why your plans did not unfold. Why simply cannot follow naturally? You believe that giving in is accepting what your heart tells you, but you still cannot read your true feelings. To surrender is to let life guide you, to train your resignation to the facts. So why do not your plans go the way you want? I tell you, daughter, they are in divine perfection, for you are not yet ready to go on, you still need the protection of the place where you are, you need to strengthen yourself to follow. At the proper time, when you are balanced and confident in your purposes, everything will come naturally. At the moment daughter, just surrender in divine trust to your life, with an open heart, accepting what it offers you. In doing so, seek to learn the lessons that life brings you right now, right where you are and read the signs, learn, strengthen, and then move on. Be in peace. IS IT BETTER TO FOLLOW MY WAY ALONE? Good morning, Masters, and much gratitude for that contact. I wanted to ask that question for some years, but I was afraid of the answer. And today I am open and i accept it. This year I will spend 10 years living together in a relationship, dating, marriage, ending the marriage, dating again and ending the courtship. It was 10 years of several attempts to improve the coexistence as a couple and as people. Today we are separated, but there is a great friendship. My question is: is it better to control myself and to go my own way, (totally cutting off the bond) or is it something more spiritual, which I still cannot understand / solve? Thanks. Thank you very much. Daughter, the question you ask, only you can answer. Well, I tell you, are you ready to go it alone? You must wonder why you have been involved with something that has never completely satisfied you for so many years. That is the question you must ask. It was never attached to anything, daughter; you just have to decide whether you are ready to move on and turn the key to the life, continuing your journey with freedom, without linking yourself to that relationship. Basically, both find themselves in this questioning, why, despite all the attempts none of them naturally unfolded, as you would like. The truth, daughter, is that you have stuck to this relationship through the Lower Self. It was a relationship built on a process of attachment, by habits that hold together. It was not a relationship in which freedom, attention, mutual affection, care, sincere love prevailed. You know what I'm telling you, child. So, bring that relationship to your heart, feel what it brings you, and if you feel stuck in old habits, simply let go of these attachments so you can go on in peace. Let everything be resolved naturally, without rules, without new impositions, but continue in this walk within what you feel. Be in peace. Dear Masters, I am dealing with so many challenging situations. I cry constantly. I am in a master's degree, in which I do not feel motivated. I feel it as a burden and I feel like giving up. At the same time I think it would be a cowardly attitude because it makes me have to deal with the fear of exposing myself, my insecurities, which allows me to have different experiences and learning. I know I created all this, and it's hard to see how much I'm still held hostage than others think, that it's really me who thinks they think. That is, I still judge and criticize a lot, even though I try not to listen to the mind. There are times when I want to isolate myself from the world, to be alone and in silence. How to release this anguish? It seems like I'm always trying to break free, and here comes that old insecurity again. Not as strong as it used to be, but it's there. I see signs. I feel my heart warm and thank you for knowing that I am not alone. Gratitude Masters, thanks also to Michele Martini and Thiago Strapasson for the accomplishment of this beautiful work. Greetings, my sister, I am Saint Germain. I hear of your problems through these words, but I do not see the problems, but those that you find in yourself. Looking at yourself opens up in innumerable perspectives, when in spite of the difficulties, look at the learning from each experience, and how each of them aggregates into your life. You are on a path that challenges you and every challenge you have the opportunity to think about quitting or simply concluding, withdrawing every learning experience. Much easier would be to hide from the world instead of living in peace, with tranquility. The difficulty she sees, in fact, lies in the doubts of the path she has imposed on herself. Do not doubt, daughter that the way is promising and the challenges are precisely what leads you to deconstruct your own personality, and to question what you believed. All this yearning that carries itself is nothing more than the very deconstruction that challenges brought. The path is promising, continue and believe in this path because it will be and always has been. Be in peace. WHAT IS THE PLANETARY ASCENSION PROCESS AND WHAT IS THE ROLE OF THE DARK SIDE IN THE PROCESS? Dear Masters. I would like to know the events of terrestrial ascension. Is it a real physical occurrence? Because I've heard this kind of evidence almost 25 years ago. 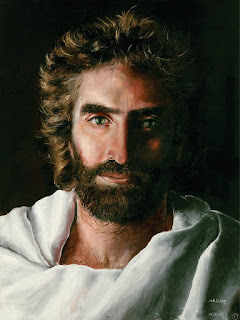 I have read a few books, more than 50 to 60 years before the publication of plumbing books, which also mention the same events of earthly ascension and earth controlled by dark people or organizations. Why do ascension events do not happen in outer reality and keep saying and saying that it will happen, will it happen? How early? What criteria will allow this to happen? If ascension is only the conscious mental improvement of the mind of the people of Earth, I do not think that earthly ascension will happen forever, because most people on earth do not believe in spirituality, UFO and ET for many, many centuries, Matter as misleading and a knowledge of fun. 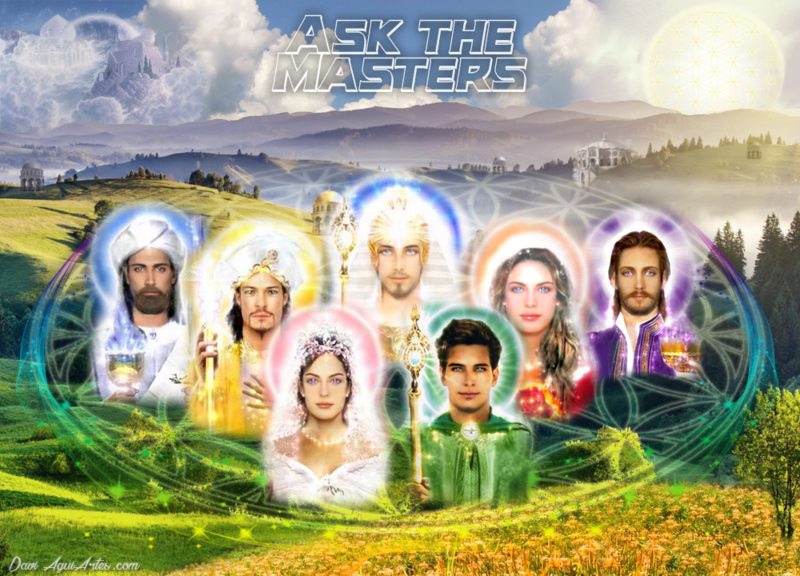 Can the Masters also reflect on my opinion for all Ascended Masters, Archangels, and all benevolent ETs about these events? Daughter, working with the Violet Flame in you, you will be able to remove all the illusion that was created and fed, yes, by the black side. But, you deceive yourself when you look at the dark side as something external to yourself. All mankind is here to expose themselves to the dark side, yes, and then they can work on cleaning up their lower aspects. The belief that something external can reach them, or even that, the dark side could, somehow, harm them is just one example of the need to work with the Violet Flame. Notice, my dear daughter, that the fear of the black side discovering something is only the manifestation of the ego. The dark side is positive because it leads us to look within ourselves and recognize the inferior aspects that still have an abode within us. Only with the provocation of the lower side, for it to be exposed, it is possible to transmute it. Notice that all the energies present on the planet, whether they are on the dark side or the side of light, are necessary for planetary ascension. For it promotes within each of you the cleansing through the awakening of the Lower Self, and then of the enlightenment of the aspects identified by yourselves. This is how the ascension will take place. The beings on the dark side are those who contribute to the planetary ascension, not the opposite as you imagine. They provoke you to come out of the state of illusion created about yourself so that you look at your inferior aspects. They provoke you and urge you to look at the dark side of each one of you so that you may heal it, thus healing your record of suffering from the past generating black and inferior behavior, and automatically contributing to the elevation of that black being that came to provoke this awakening in you. Everyone is helped. Realize that all are ONE. By working for the exposition of your inferior aspects and illuminating them, you are also bringing an apprenticeship to that representative of the black force, who was with you to show this learning. He will be helped, and so will you, and so every illuminated point, every transmuted lower aspect, will build the new planetary energy mesh. That is the crystal lattice. You gradually become more crystalline, at each enlightened point. But realize that in order to identify the points, it is necessary to work together those black forces, which will awaken in you something that was dormant and prevented its ascension. Be grateful, daughter, for the forces of light and shadows, for all are united to bring the planetary uplift and ascent.